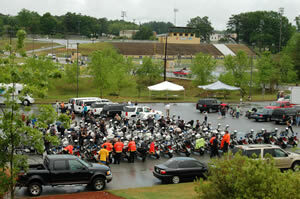 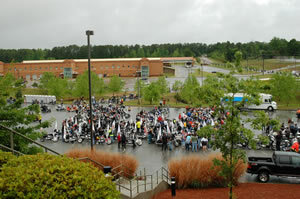 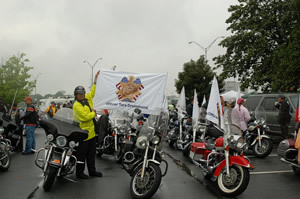 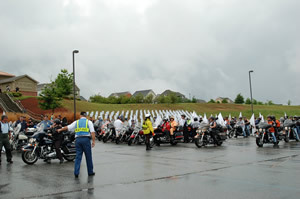 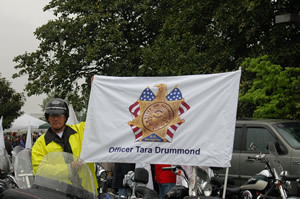 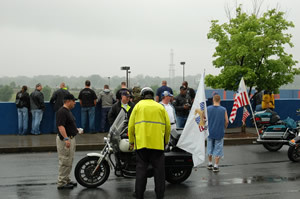 Early on Saturday morning, 1600+ riders gathered in the rain at Turner Field Stadium. 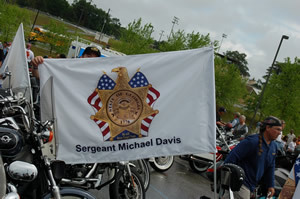 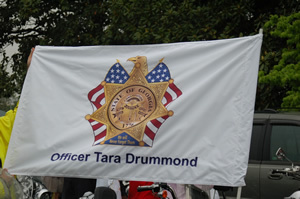 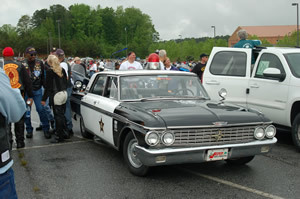 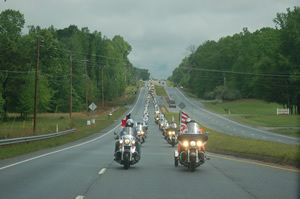 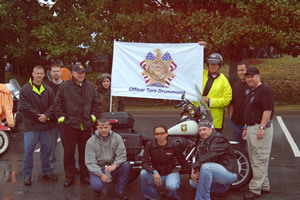 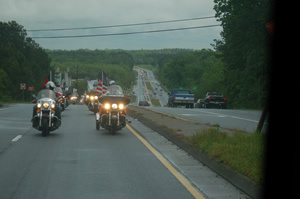 Representatives from law enforcement agencies all over Georgia and around the nation joined many civilian riders to emphasize the theme; We Ride To Remember. 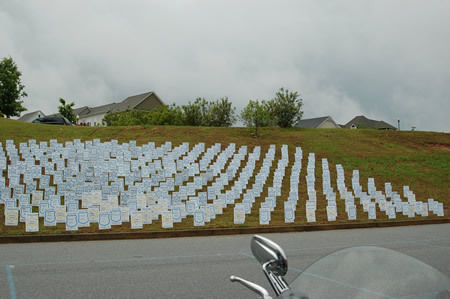 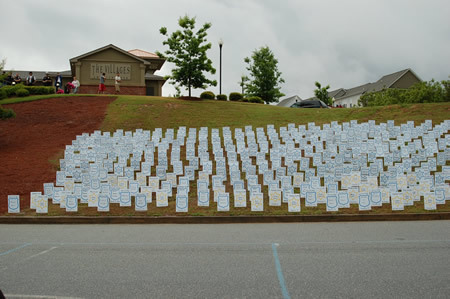 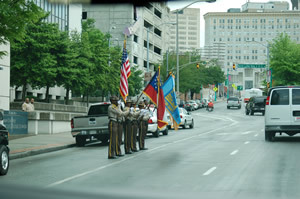 Thank You to the Blue Knights GAVII, The FOP (Fraternal Order of Police), Georgia COPS (Concerns Of Police Survivors), Jocelyn Dorsey (WSBTV People 2 People), MAPES (Metro Atlanta Police Emerald Society) Honor Guard, and all of the participants for providing the ten families of Georgia's fallen officers with a memorable event. 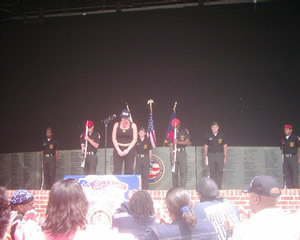 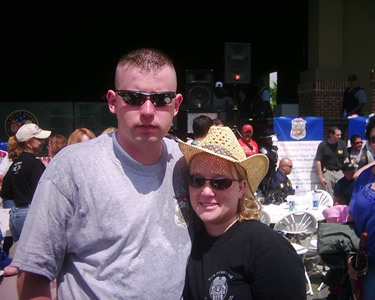 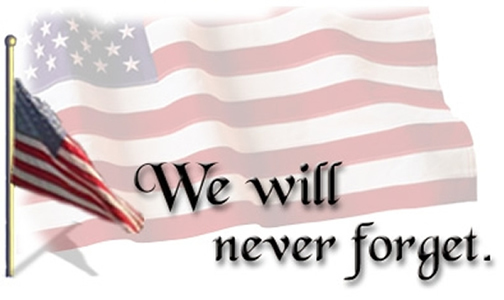 The dedication to this annual event provides honor to our heroes. 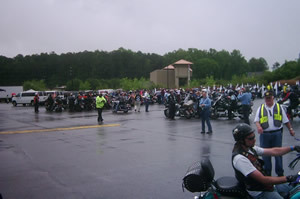 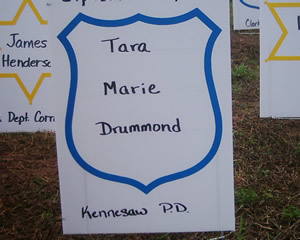 Members of the finest Police Department in the country, The Kennesaw PD gathered to ride and remember their fallen officer. 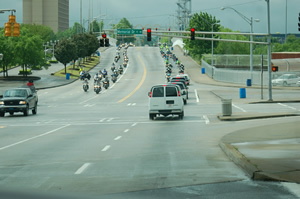 The Riders left Turner Field and circled the State Capital where they were met by Honor Guard and Officers on the side at attention. 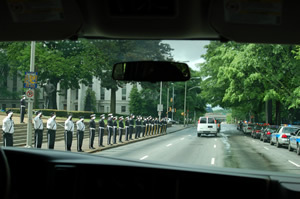 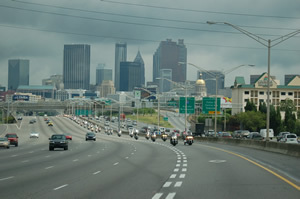 From there, the procession traveled through downtown Atlanta, South on I-75, around Hartsfield-Jackson International Airport, and on to Fayettville, GA. 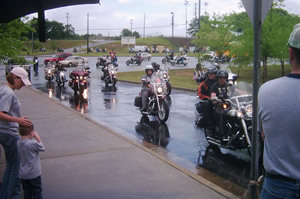 In Fayettville, the riders and survivor families were treated to lunch and then attended a memorial service to remember Georgia's fallen ten. 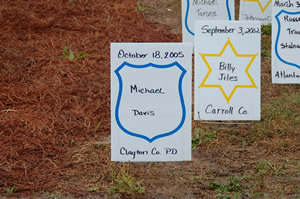 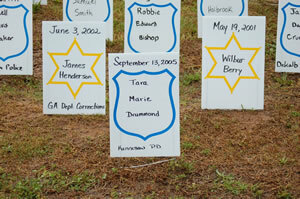 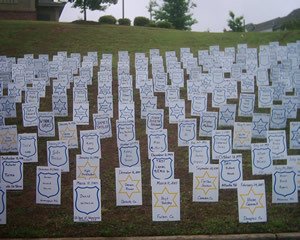 All of Georgia's Fallen Officers, past & present, remembered and honored.